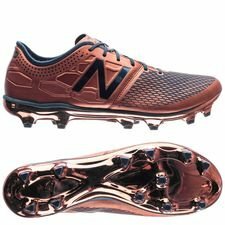 Good news for fans of shiny boots, New Balance has just launched the Limited Edition Conduction Pack, and what a colour combo! Make it happen in Visaro, and silence the opposition defence in Furon. Enjoy the boots here. This time around, New Balance has really stepped up the game. The American brand seriously gets in the fight with the big guys for one of the best colour combos of 2018 so far. At Unisport HQ we're absolutely crazy about the two navy and copper colourways that make both the new Furon 3.0 and Visaro 2 from the Conduction Pack. In addition we're also lucky enough to get some shiny soleplates. New Balance is really treating footballers all over the globe well with this pack. We can't complain, and it's impossible to go unnoticed on the pitch in one of these! 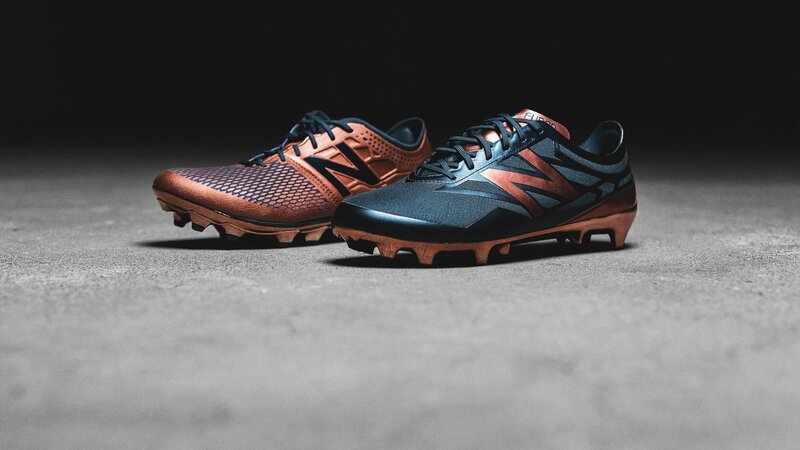 The only problem is, we don't know which to choose: The copper Visaro or the navy Furon? Tech-wise, the New Balance Visaro 2 is still engineered for the creative midfielder, who creates and reacts. It is for the player that by pure vision, touch and creative thinking dominates the pitch. The upper is engineered for superior touch, and the Visaro 2 includes strike zones that offers a cleaner strike, improving both your short and long passes - while adding precision and power to your strikes. 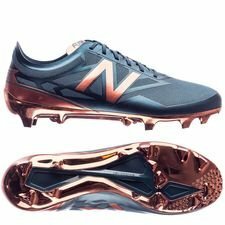 The New Balance Furon 3.0 speedboot is still the striker’s first choice. Furon is designed for the players that chases the defining moment, the moment that changes everything. Its upper is made from a unique mesh material that is all about speed and a lean, mean, clean strike. Now, the choice is yours. Electrify the midfield in Visaro, or energise the attack in Furon. Get both right here.